Sounds like they're activating the bar next to the old restaurant. I think Savoy technically used that space, but I never saw anyone staffing it (let alone any patrons). Exciting! 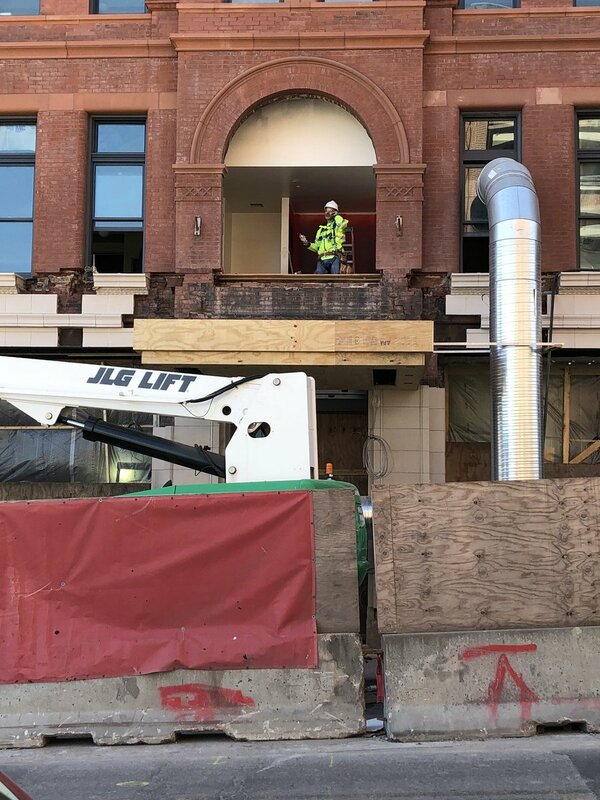 The Savoy will be a contemporary restaurant that will honor the "building's storied past while bringing new life and energy to the space known for its famous patrons including Harry Truman," according to 21c Museum Hotels. They should rename it. It ain't the Savoy without the HST booth. I'm surprised they didn't try and recreate some booths. moderne wrote: They should rename it. It ain't the Savoy without the HST booth. I was able to tour get a tour of the hotel last week from the project Mgr at McCownGordon, including the restaurant. Not to worry, the booths are staying including the HST booth. They are bringing in a professional to restore the murals and are keeping and restoring the original bar and floor. The picture in the article doesn’t do it justice. On a side note the restoration of the hotel is very impressive considering all the issues they encountered with the old building. He said structural engineers were 50/50 on whether to condemn the building from the start. pearcejp wrote: I was able to tour get a tour of the hotel last week from the project Mgr at McCownGordon, including the restaurant. Not to worry, the booths are staying including the HST booth. They are bringing in a professional to restore the murals and are keeping and restoring the original bar and floor. The picture in the article doesn’t do it justice. On a side note the restoration of the hotel is very impressive considering all the issues they encountered with the old building. He said structural engineers were 50/50 on whether to condemn the building from the start. pearcejp wrote: He said structural engineers were 50/50 on whether to condemn the building from the start. There are structural engineers and there are structural engineers. Some are experienced in historic structures and recognize systems, problem analysis and accurate solutions and probabilities. Others are uninformed regarding historic techniques and their default position is to equate old=bad. Hoping the bar side of the restaurant that included the murals, Truman booth and original leather bar top is restored but not heavily modified (edit - form another comment sounds like this may be the case). I used to love having cocktails in that space, elbows up on the worn leather bar. Was a special place, albeit very dated. You are correct that I almost never saw anyone else there, however. Really excited for this development overall - quietly set to become a downtown gem if all goes to plan. I agree with Loftguy. Sometimes I think some structural engineers are just too lazy to come up with solutions to old building challenges. I do concede though that it might sometimes be the owner's unwillingness to pay for expensive solutions. I think there are structural engineers that would level 80 percent of old European cities if they had the chance. 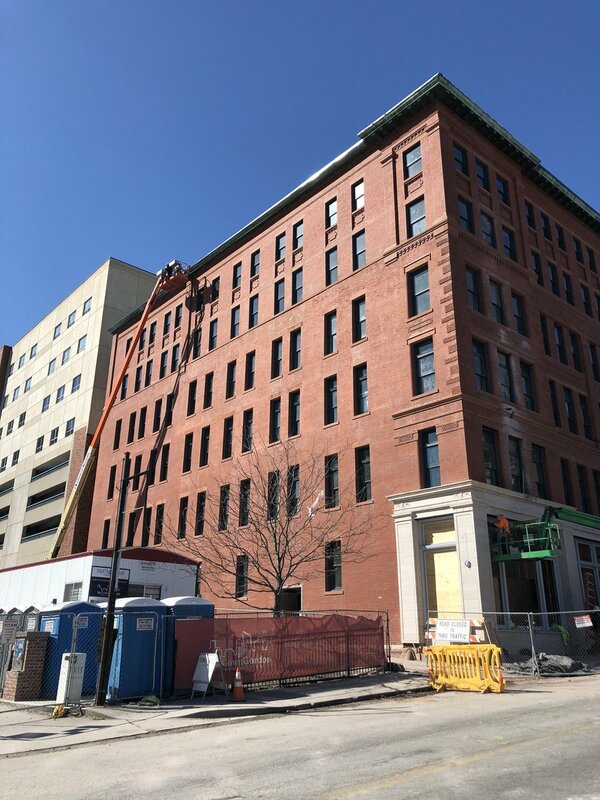 In some situations, one brick falls off a building and people start calling for it to be demolished--often on the City's dime (see Cosby Hotel thread). I would be interested to know what the problems were in the Savoy Hotel that lead them to come so close to that conclusion. Was it fire damage, water damage, foundation problems? Had the previous owner deferred maintenance in a way that placed the building in peril? FangKC wrote: I agree with Loftguy. Sometimes I think some structural engineers are just too lazy to come up with solutions to old building challenges. I do concede though that it might sometimes be the owner's unwillingness to pay for expensive solutions. I think there are structural engineers that would level 80 percent of old European cities if they had the chance. Engineers usually work backward from the answer that the person who hired them wants to arrive at. They are almost always fixable, just a matter of how much it costs. Does this hotel have an official name yet? In the article, Harry Truman was mentioned as staying there. I found it strange that was mentioned. Could the name drop be an indication of the future name? 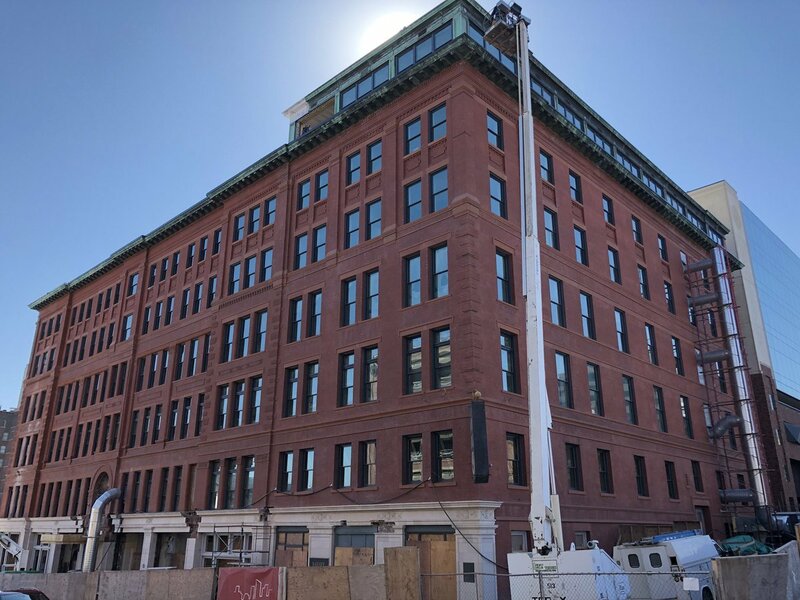 Based on all of their other properties, it will likely be called "21C Museum Hotel Kansas City". Based on the KC page, they might call the restaurant Savoy Grill (which would make sense because they haven't removed the old sign). Also, the penguin is shown in gray. I wonder if that's "no color" or our penguin color will actually be gray? DaveKCMO wrote: Also, the penguin is shown in gray. I wonder if that's "no color" or our penguin color will actually be gray? DaveKCMO wrote: Based on all of their other properties, it will likely be called "21C Museum Hotel Kansas City". Wow, doesn’t seem very creative or marketable. It’s the brand name and the location and sometimes something extra. That said, the name including the brand is absolutely marketable. If you had a good experience at one 21C hotel and see the name in a search you immediately connect. It’s obviously not real but watch the Hilton Hotels episodes in Mad Men. It’s all about the name Hilton and that being about all they need for marketing.